One of the talking points that always comes up when there is a mass shooting is whether or not an armed citizen confronting the shooter would be effective in stopping the rampage. This question takes on added poignance when you realize that most of these madmen are determined to take their own lives. Therefore, they usually will do so immediately when confronted by armed resistance rather than allow someone else to have any control over them. In the Clackamas Town Center shooting, that armed defender was permit-holder Nick Meli. 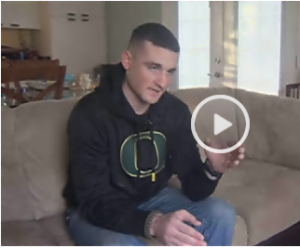 Listen to his story in the video below from News Channel 8 Portland. This entry was posted in Armed Self-Defense, Mass Shootings, Oregon. Bookmark the permalink.